For about 8 months, we had little to no money coming into our home. What little unemployment benefits I received generally did not cover even the basic bills. So, not one single penny could be used for food. It just wasn’t there. This was definitely a reinforcing factor regarding keeping a stocked pantry. Because the “disaster” did hit us. We HAD to live off of our pantry. And let me tell you, I learned a lot of valuable lessons regarding a stocked pantry! I cook from scratch on a daily basis. So, I know what I use and need. 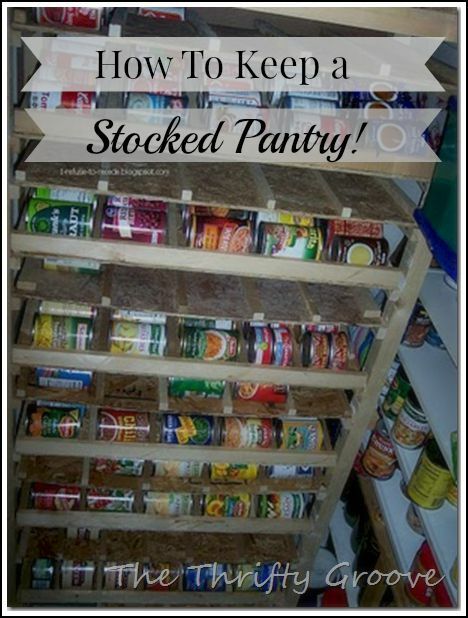 Our situation, keeping a stocked pantry is a money saver and was used when we had a financial emergency happen. Not only to take care of our own families but, maybe help out our neighbors. I don’t have a basement or any large space to create a pantry. I use a closet. No dried or canned foods stuffed here and there throughout the house. You can use a small space and if kept maintained and stocked smartly, you are good to go! Right now, in this small closet pantry of mine, We could probably go about 6 months with just a small amount of food purchasing. Do I want to? No. But, we can. More to come on this subject. 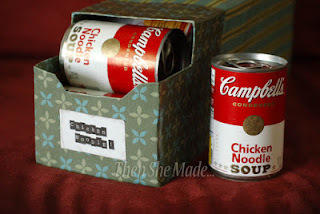 I am reworking my pantry as I write this so, I hope to share more thrifty money saving ideas in this area. Great post Diann! Bad times hit us all and being prepared is the best strategy for these life crises! I need to learn to rotate my pantry items so I think it's time to clean it our and restock it! When I stress shop, it is always for food, so there are months that my pantry is stocked indeed!! But you are right, I need a system! I can't wait to read more tips! PS my pantry is a useless 'pantry-ette' that came in the townhouse and a repurposed pie safe. Fabulous post. I cook from scratch everyday and I definitely love having a stocked pantry. I am terrible at planning meals for a week, I want to have the option to cook whatever I think sounds good on that day, so a stocked pantry is essential.